Have you ever been spoiled by foldable headphones? They close up to half their size and sit amicably in the corner of your bag. Or maybe you have struggled with big, huge headphones which you love but cannot carry around because of their size. Foldability makes the headphones more portable. And it makes storage that much easier. If you have studio equipment at home, foldable headphones will fit neatly on the platform rather than regular headphones. We see in passing how some of our best headphones are foldable. But we wanted to create an exclusive list of the best foldable headphones for folks looking specifically for these. Foldable headphones are still far and in between but the idea is catching on. Our top 10 cover a wide price range. How do foldable headphones fold? Although this sounds like a simpleton’s musing, from the point of view of this list we want to explain what foldable headphones mean to us. There are headphones which allow you to fold their arms, reducing the volume of the headphones comfortably. Both these types of headphones are covered in our best foldable headphones list. This kind of folding makes them more compact but some of them would be difficult to pack because of their shape. There are other headphones which only allow their earcups to fold 90° so that their entire body assumes a flat shape. These might not have folding arms but their flat structure allows them to be packed easily in bags and travel cases. Headphones that ONLY fold flat are not included in the list. What are the benefits and disadvantages of the foldable headphones? The main benefit of the foldable headphones is portability. Folding up most of the headphones reduces their footprint by 25-50%. If these are full-sized cans, imagine how much space you could be saving. You will feel much confident about traveling with them or carrying them to work. Foldable headphones are compact. They occupy less space in storage. If you have a cluttered music mixing desk foldable headphones give you more space to stow other items on it. Foldable headphones are available now in various types: on-ear, over-ear etc.. There are a lot of Bluetooth headphones which are foldable. You also get foldable headphones in noise-cancelling niche. Some headphones are foldable but they don’t make that much of a difference to portability because of their huge earcups. In that case you would just be paying extra for foldability. Foldable headphones can get damaged at the hinges with continuous folding and unfolding. This might not be a problem with the quality cans in our best foldable headphones list. How to care for foldable headphones? If folding arms have a detent position, don’t flip the arms up and down casually. This is a quick movement and the force of it can damage the joint. Try not to flip the arms of the headphone continuously without reason. This would again weaken the joints of the foldable arms. Foldable headphones most often break at this point. Foldable headphones come with practical and compact cases. Use these to transport your headphones while stowing them away in the crowded bag. If the foldable headphones are made of metal, make sure you don’t expose them to moisture. The metal joints can rust and stop folding. Which are the best foldable headphones? Audio: Since foldability is the main priority of looking for these headphones we chose from a wide range of audio signatures. All of these sound pleasant and enjoyable. From warm audiophile audio response to a smooth casual listener’s signature, we have covered everything. We checked that the bass didn’t distort or treble didn’t have any sibilance with bright songs. Portability: The best foldable headphones covered here fold in a way that makes them more portable. Like we mentioned before they all have folding arms. Some of them also have folding earcups. Comfort: The compactness and portability of these best foldable headphones doesn’t come at the cost of comfort. Some of them also feature in our Most comfortable headphones list. Most of these are over-ear headphones since those are more comfortable. Durability: Foldability often comes at the cost of durability. Some plastic headphones cannot bear the weight of moving earcups. The joints are the weakest link on foldable headphones, so we made sure the best ones are specially reinforced in these. Features: Since foldability was the main concern here, we took a free rein with the features they offer: noise cancellation, removable cables, inline controls, removable earpads and whatever else spreads the variety of the cans on this list. Budget: Again, keeping foldability as the main concern here so we covered a large budget range from affordable to mid-high prices. Audio-Technica has a reputation for never compromising with their audio signature. Their entire studio monitoring line is stellar for the price. But nothing has ever captured the music-lovers’ imagination as the ATH-M50. ATH-M50x is a modest improvement upon this already popular headphone. It has the best sound signature at its price, so much so that it bangs big for the bucks. It offers superlative comfort and it folds! 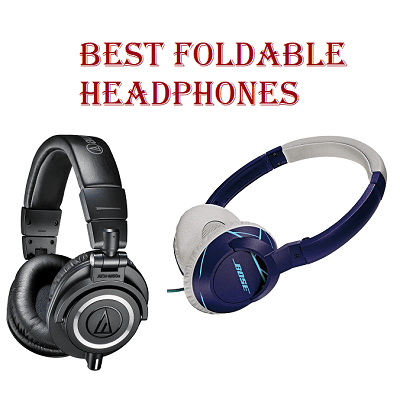 Because of its value for money, it tops the best foldable headphones list. The Audio-Technica M50x foldable headphones were designed to be studio monitors. They look classy but understated. The earcups are large but they don’t stick out on your head. The earcups are racetrack oval and sheathed in synthetic leather-like material. The cushions are plush and comfortable over the ears. The headband is moderately broad and thick. It is reinforced with a band of steel. It supports 10 ounces of the headphones weight. The earcups swivel forward to adapt to the shape of the ears. The arms of the headband fold at beefy hinges. The package is quite compact when folded. The earcups also fold flat so you can wrap M50x around your neck. These foldable headphones have detachable cables. We say ‘cables’ because M50x comes with 3 cables: a 10-foot one, a 4-foot one and 10-foot coiled cable. Not one of them has a mic or an inline control. M50x are meant exclusively for enjoying music. The cables connect to the right earcup using a 2.5mm port with a twist-and-lock mechanism. Finding a replacement will not be easy but with three cables, you wouldn’t need one. These headphones come in black, white and blue colors. They are shipped with just a pouch. The construction of the M50x foldable headphones is predominantly plastic. The headband exerts only moderate pressure on the head. It’s strong enough to keep them stable on your head but not enough to be uncomfortable. They have a good level of noise isolation. The ATH-M50x foldable headphones have an exciting natural audio response. You immediately notice the width of the soundstage. Being a closed-back headphone, such breadth to the audio is beyond expectation. The bass has a quality bump that spreads the bass into sub-bass region too. The bass is meaty and well-defined. You get both quantity and quality here. You will hear no distortion at high volumes. Bass remains tight in spite of the volume. It does not muddy the mids. The midrange is warm and resolved better than we expected at the price. The spacious instrument placement allows it to respond fast to complicated music and rhythm changes. The high frequencies are quite refined too. The treble is smoothened down and doesn’t have any bite to it. It’s just the right amount of exciting. Although these are studio monitoring headphones, the M50x folding headphones don’t have a neutral audio response. The boosted bass does not make the audio slushy because of the open soundstage. But rather it makes the sound deliciously warm. ATH-M40x has the more neutral form of M50x’s signature. 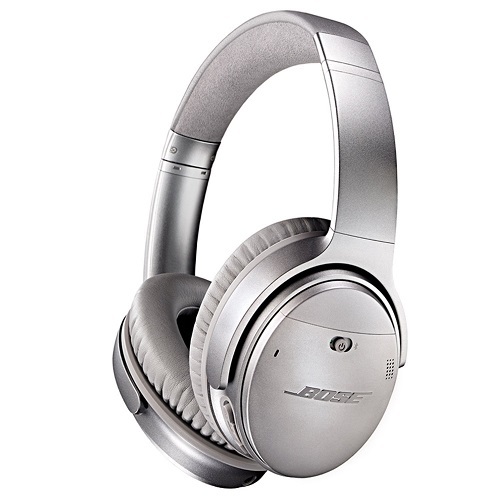 There’s no denying Bose’s proud legacy in active noise cancelling(ANC). The QuietComfort 35 foldable headphones are their best offering. It’s silence of the lambs with these on. There have been other headphones with better sound signature but nothing beats the ANC of Bose QC35. Its lightweight design and comfort likewise vindicate its high price. These are wireless headphones and make the best out of folding in and folding flat. This type of talent can’t be kept out of the best foldable headphones list. The QuietComfort 35 foldable headphones are a suave-looking set. They have oval earcups plushly padded. They are sheathed in faux-leather which remains cool even in summer. The headband is broader than previous versions but it does not look too beefy. The arch is padded with fabric-sheathed cushions. The headphones are quite lightweight at 8.3 ounces for a wireless set. The earcups fold flat and the arms of the headband move inwards. It reduces the area occupied by around 25%. Upon packing, it can fit in a flat case. All the controls reside on the right earcup of their foldable headphones. You have volume up/down and multifunctional buttons. They connect wirelessly through Bluetooth. They can connect to two wireless devices simultaneously and play the source selected from the Bose phone app. They come with a soft zippered travel case. An airplane adapter and a 3.5mm cable are shipped with them. The QC35 foldable headphones work on a rechargeable but non-replaceable battery. With ANC, they run for 20 hours per charge. They can also be used in the wired mode. They are available in silver and black models. They also have mic monitoring which allows you to hear your own voice while talking so that you don’t shout. The first thing we tried with the QC35 foldable headphones was their Active Noise Cancellation. This is a strong phenomenon. It cuts down much more noise than any next five headphones in the list. The digital tweaking creates much pressure on the ears. Some people might probably not like that. ANC also improves the audio of QC35 quite a bit. With ANC, the audio is sharper and clearer. But using it in the wired mode also enhances clarity. These Bose foldable headphones don’t disappoint in the audio section either. The bass has a weighty presence here. But it’s tightly held and restrained from tainting the midrange. The bulk of bass is easily accommodated in the wide soundstage. Even at the low volumes, you get a voluminous audio. The midrange is detailed. It may not be as substantial as the midrange of the Sennheiser Momentum. The highs are smoothened out. The QC35 foldable headphones do not support Apt-X. But the audio is good enough without any Apt-X support, more so because of the ANC. Making use of the equalizer we were able to make the QC35 dance to our tunes. If it didn’t have the stunning ANC, the comfort and the features, we would have demanded a more hi-resolution audio with better definition. But these three things make QC35 pretty special. Sennheiser Momentum 2.0 headphones are one of our favorites here. We have gotten so used to their unbeatable audio signature that we always compare other headphones in a wide price range with these. The original Momentums enraptured everyone with their sound but they had a comfort issue. The 2.0 version solves this issue and becomes foldable too. It’s a masterpiece physically and sonically, one worthy of the best foldable headphones list. The Sennheiser Momentum 2.0 looks almost exactly like the original except for the larger ear pieces. The architecture is distinctive and classy, you will recognize it anywhere. The structure has a big arc of metal as headband on which the ear pieces are mounted. The ear pieces are oval with deep foam padding which sits around the ears comfortably. The headband is very slim and slotted for air circulation. It is also padded with memory foam and draped in leather. Once folded at the arms, these foldable headphones reduce into a very handy package. The headband pressure is very light and exerts very less weight. But it stays firmly attached to your head so you can go gymming with these on. The plush earpads provide good noise isolation. The detachable cable is attached to the right earcup. It locks on the headphone end with a twist mechanism. You can choose an Android version or an Apple version of the cable. The inline remote will be compatible based on the type selected. At this price they could have easily supplied one of each cable. The cord terminates in a slim L-shaped plug that gets through phone cases easily. The Momentum 2.0 foldable headphones are shipped with a semi-circular zipped carry case. They come in three handsome colors: black, ivory and brown. The ivory piece looks exquisite. The Sennheiser Momentum 2.0 foldable headphones have that highly refined and enjoyable sound that checks all the right boxes. All three parts of the frequency response have their highlights. The bass has gotten meatier from the original version but it still has great control and definition. You get plenty of sub bass which creates a greater visceral impact than version1. You feel like a dedicated subwoofer may be at play. The bass has been very slightly but skillfully boosted. But this ensures that at low volumes and high ambient noise, Momentum 2.0 still sound like everything they promised. The midrange of these foldable headphones is full of details. The upbeat sound will make you want to re-listen to all your favorite tracks. Using quality formats will really help you see that music with a different perspective. The treble is sparkly but just a small amount. They sound exciting without being harsh. The audio of Momentum 2.0 cannot be called accurate because of the slight bass boost. But there are other HD headphones in Sennheiser’s line-up for that. These are for enjoying the music. The P-series is perhaps Bowers and Wilkins’ finest work in headphones. The bold design of the P7 deserves every penny you spend on it. It initially debuted as a wired headphone but we prefer the foldable wireless headset better. The suave looks of the wired headphone are inherited as it is. This is paired with near flawless Bluetooth performance and stylish accessories. The highly resolved and natural audio over Bluetooth is another winning point. These are a premium candidate in the best foldable headphones list. 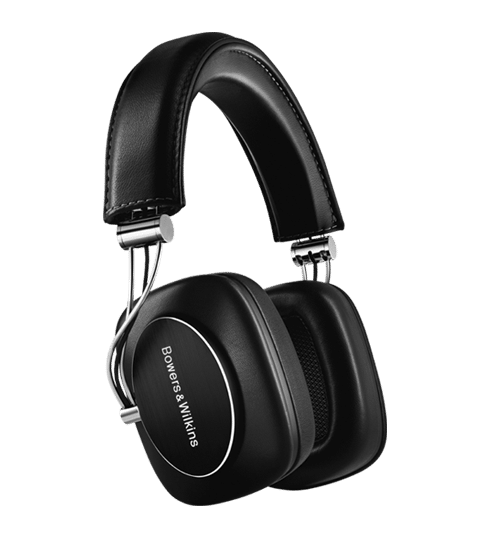 The Bowers and Wilkins P7 foldable headphones have those distinctive rectangular ear pieces we haven’t seen in any other brand. The headband and the foldable arms are made of metal. The earcups go around ears enclosing them in the cushy pads. The earpads are draped in sheepskin leather that nestles the ears softly. The headband is also similarly padded and treated with leather. These are heavy headphones at 11.2 ounces but they don’t feel like it when worn. They have a mid-firm grip over the ears which provides excellent passive noise isolation. Do note that these don’t have ANC. The buttons are discreetly but accessibly placed. These foldable headphones have foldable arms but their earcups do not fold flat. Once folded, they fit into a semi-circular soft case. They are space-efficient. They operate wirelessly through Bluetooth. Bluetooth connectivity is drop-free. You get reliable connection within the specified range. Once connected, they remember and reconnect to devices easily. The battery lasts through 17 hours per charge. The P7 headphones also offer mic monitoring so that you can regulate your own voice while taking calls on its mic. They can be used in wired mode as well when the battery runs out. Even the audio of the P7 foldable headphones is distinctively B&W. The bass here has plenty of punch but it remains tightly held. It’s not as energetic as the Sennheiser Momentums but it’s more laid back. You feel relaxed with the presentation of music. The bass extends deep into the sub bass region. Even at low volumes the definition of bass is apparent. The midranges sound clean and detailed. You would want to revisit your collection with these foldable headphones. The treble has plenty of excitement but any sizzle has been ironed out. So the bright recordings don’t sound grating to the ears. B&W P7 are refined just as we expected from their price. They sound a touch better in the wired mode but the Apt-X supported-Bluetooth is no slouch. The excellent passive noise cancelation keeps the audio sounding clear and pristine. V-Moda’s aim has been to create a fashion and music statement all in one piece and M100s are their top model. The signature V-Moda looks are supported by guts of steel(literally!). The accessory kit is also quite elaborate with V-Moda going all perfectionist on it. The folded design gets more compact with bendable headband. 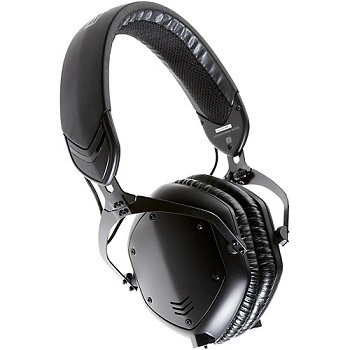 And then the best V-Moda headphones throws in the military standard durability and mind-blowing bass. All these make a strong case for the M100 to be on our best foldable headphones list. V-Moda follows a similar design outwardly on all their over-ear headphones. So M100 foldable headphones also have their hexagonal ear pieces. These are supported on a steel frame with a slim headband. The earcups are mostly plastic and mounted with plush padding. But V-Moda offers the option of using custom-engraved metal backplates. V-Moda has been designed to survive 70+ falls with a contortionist band. The spindly arms connected to the earcups fold effectively reducing the M100 to palm size. These foldable headphones have removable cable. There are 3.5mm ports on both the earcups although the cable attaches to only one. You can share music between headphones by daisy chaining them. They come with two cables: a standard cable with inline remote and a Shareplay cable which allows you to share music from one source. The cables are Kevlar-reinforced. The M100 foldable headphones come with an exoskeleton case with a demobilizing strap. V-Moda also supplies plugs to stopper the extra 3.5mm ports on the headphone. It comes with a 6.3mm studio adapter. The headphones weigh 10 ounces only for all their durability. The only problem that we have comfort-wise is that the earcups don’t fold flat. So it’s uncomfortable to wear them around the neck. These are available in black or silver colors with different backplate designs. The V-Moda M100 foldable headphones are for the basshead’s pleasure. There’s no denying the powerful impact of bass in M100s and they are best known for it. The dynamic impact from the pumping bass makes the EDM, Techno, Metal etc. genres sound rich and full. Even with the dollops of bass power, the M100s sound clean. Which is why they able to respond to complicated music fast and well. The punchy bass is well-defined and warm. Bass has both quantity and quality on its side. The midrange of V-Moda sounds uncluttered even with the pumped-up bass. Granted it won’t sound as refined as the Sennheiser Momentum 2.0. But casual listeners may not notice the difference in detailing and prefer the richer soundstage of the M100. The vocals sound warm and alive. The treble is smooth and without much bite. The focus of the audio signature is mostly on bass. Bose SoundTrue foldable headphones are the on-ear kind. We figured that in a milling crowd of the over-ear headphones, the on-ear headphones will bring variety. 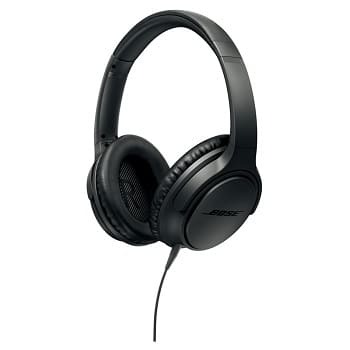 These are actually affordable Bose headphones. Thde fact that Bose maintains the same sound signature in all their headphones actually works in its favor. These are lightweight and available in some funky colors. We had no trouble racing them to the best foldable headphones list. The Bose SoundTrue on-ear foldable headphones look positively tiny compared to the over-ear headphones on this list. They have small oval-shaped earcups. These are mounted throughout with cushy cushions and sheathed in faux-leather. The headband is slim and padded at the arch that touches the wearer’s head. These are extremely light with no noticeable clamp. With regards to the on-ear headphones in the market, these are the easiest on your head. Apart from the usual black models, these come in white, turquoise blue and navy blue. They are standout only because of their poppy colors. Otherwise they settle easily on your head. These foldable headphones have a detachable cable. They come with a cable of matching color with a 3-button Apple-friendly inline remote. The earcups of the SoundTrue fold flat and then inwards. So it comes with a semi-circular zipped case. 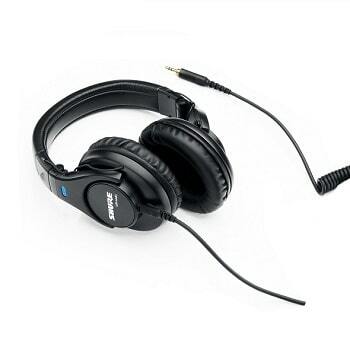 The earcups offer only moderate noise isolation but this is preferable in office and some other environments. The design is meant to woo the modern generation. Audio-wise, Bose SoundTrue foldable headphones do well although not spectacularly so. 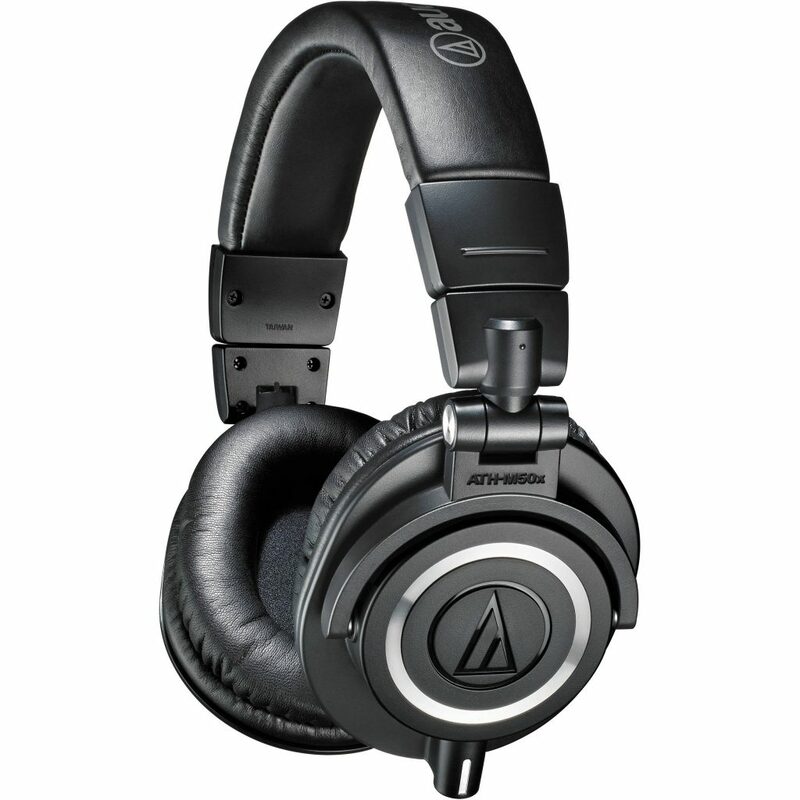 Of course we are comparing these with the ATH-M50x which lies in about the same price range. But it has bigger drivers. The SoundTrue audio is naturally balanced and pleasant. These are warm-sounding headphones that blend themselves in with all genres of music rather than having one highlighted frequency response. The clarity and refinement of sound is decent when critiqued in an audiophile manner. But casual listeners enjoy the burly mid bass and the effect it has on the audio. The top end is smooth and devoid of any bite. In short, SoundTrue delivers everything expected from the price sonically and a little more in terms of comfort. 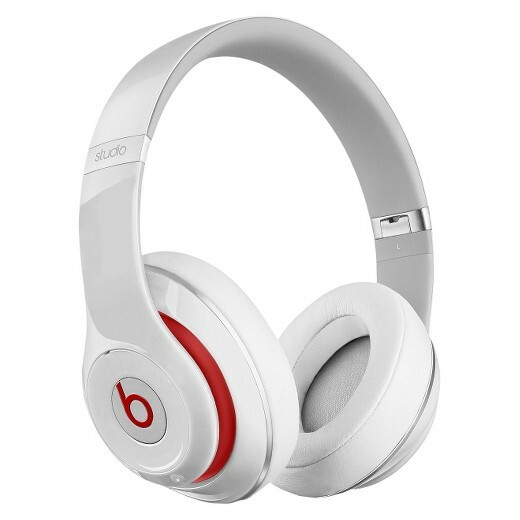 Beats headphones were notorious for their bassy sound signatures and over-pricing based on brand value. But with the Studio Wireless foldable headphones they vindicated themselves. They are still pricey but at least this time the whole package lives up to its price. Apart from being Bluetooth-enabled these also offer ANC. With an internal mic they convert into a headset too. Add Beats’ style to that and you have one of the best foldable headphones in the market. The Beats Studio Wireless foldable headphones get most of the details right in this version. They have oval full-size earcups that encircle the ear. The padding is thick and coated in protein leather. The headband also has light padding but it has a rubbery sheath underneath which gives it better grip. The clamp is not high enough to hurt but it’s enough to keep the headphone on while working out. So you can show off these Beats at the gym while being totally comfy. The arms have metal joints where they fold. They come in 10 different colors. These foldable headphones operate on Bluetooth. With ANC on, they give you 20 hours in wired mode and 12 in Bluetooth mode. Battery is rechargeable. Do note that you require some battery charge for it to work in wired mode as well. Active Noise Cancellation has two modes. In the Adaptive ANC mode, the headphones balance the ANC between ambient noise and the music at a comfortable level. The other mode has strong ANC for sleeping. It does not allow you to play music, it only kills all the surrounding noise. The Studio Wireless foldable headphones come with a detachable cable with iOS remote. They also have a fuel gauge on the earcup to tell you the battery life. A large center button handles calls, music play/pause and track navigation. Volume buttons are separate. Beats step aside from the humongous bass in the Studio Wireless foldable headphones and enter the accurate territory. They have this punchy low end that carries weight. But unlike old Beats headphones it has been controlled tightly from spilling into midrange. The treble has a bit of bite bur it’s not fatal to the quality. Rather it just makes the music a little more energetic. The soundstage is decent but nothing exciting. The Active Noise Cancellation is moderate. It doesn’t pressure your ears much but it does cut out most of the low-end noise. It’s just not as quiet as Bose. You have a push-to-hear button which allows you to pause music and ANC with one touch and listen to outward audio. The Shure SR440 foldable headphones are an audiophile fare at very affordable prices. They may look retro-clunky but they provide the balanced audio that both purists and casual listeners will like at this price point. An unexpected perk is that the earpads are replaceable. 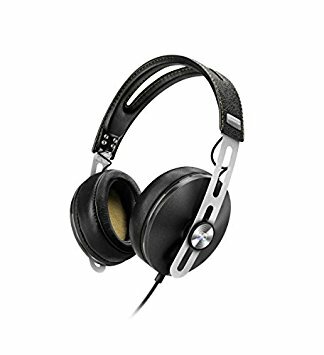 These are the perfect headphones to move to audiophile territory, hence their place in the best foldable headphones list. The Shure SRH440 foldable headphones are beefy and old-fashioned to look at. They are made entirely of plastic. They have a broad headband supporting large racetrack oval earcups. There’s the glossy vinyl drapery over the plush padding that makes us nostalgic. The earcups can fold flat and eve turn 180° for single-ear monitoring. The earpads are replaceable so if the native wears out you can change them. Since these parts get damaged easily in a studio environment, we are glad these are replaceable. The arms fold the earcups up into the arc of the headband. These foldable headphones come with a detachable 10-foot cable. Since this is a 3.5mm male-male cable, it is easily replaceable. Part of this cable is coiled. It locks into the headphone with a locking mechanism. A vinyl pouch is supplied with these. The Shure SRH440 foldable headphones pack the perfect balance of neutrality and excitement in the audio here. The bass is punchy but not meaty like the M50x which has a slightly boosted low-end. But the bass extension is excellent in SRH440. You get that sub-bass impact even when you play at low volumes. The midrange is crisp and clear. The classical enthusiasts will find them especially open and clear-sounding. The SRH440 sound even better with 70-80 hours of burn-in on them. They create an accurate stereo image of the audio inside your head. BÖHM B66 has featured majorly on many of our lists. But it has an over-ear brother with the same qualities: affordable, ANC and Bluetooth. The B76 foldable headphones are the more comfortable version with stylish looks. Granted the B66 had better aesthetics but we prefer the around-ear comfort of B76. It folded into a neat package for the best foldable headphones list. The BÖHM B76 foldable headphones have large racetrack oval earcups. These are mounted with cushy padding with synthetic leather stretched over it. The headband also has similar padding. The headband to earcup joint is done in brushed metal. It is available in black/silver and tan/rose gold colors. These foldable headphones have switchable ANC. The right earcups carries all the control on its large backplate so they are easy to reach. The battery lasts through 8 hours of ANC use or 16 hours of normal Bluetooth music playback. It also comes with a wire to be used in wired mode. The design of the headband allows it to be folded with arms tucked in and put inside its zippered case. 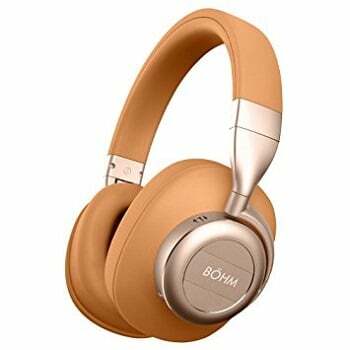 The BÖHM B76 foldable headphones offer up to 20dB of noise reduction. This dulls down the low-frequency hum of AC and airplane engine. But it’s not the kind of silence that high-end ANC headphones offer. But ANC is not ineffective here. The audio signature leverages the popular audio tastes. The B76 features oodles of bass but it’s not the boomy kind. There’s some definition to it. The midrange response sounds uncluttered to a casual listener. It is devoid of any influence of the pushy bass. These are forgiving headphones that play all genres and formats well. At their price they may not sound as good as the M50x but this price also includes ANC and Bluetooth connectivity. Ultrasone has had a deep love/hate relationship with their audience. But the abundance of love is the sole reason why they still survive. Their HFI-580 foldable headphones are perhaps their most reasonably-priced and popular headphones. The stereo audio sounds good even through Ultrasone tries to sell us their S-Logic audio. You may also check out some of the best closed back headphones for more options. The Ultrasone HFI-580 headphones look stylish yet severe in a German way. The earcups are large oval pieces with deep padding. The headband is moderately broad but padded only at the cranial arch. It weighs 10 ounces but the fit is still comfortable. The folding arms lodge the earcups inside the headband arch. These foldable headphones have a fixed cable. Their earcups also fold flat to go around the neck. Ultrasone claims that their headphones protect you against 98% of the electromagnetic radiation produced in headphones. 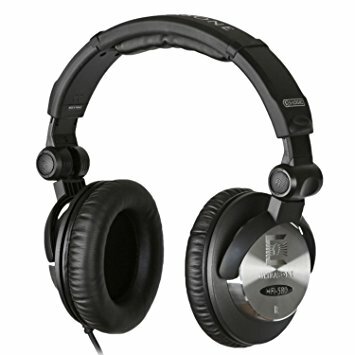 The HFI-580 foldable headphones have potent bass which plays with definition in complicated mixes. The midrange has a light boost that spikes the attention on this area. But otherwise the audio is fairly neutral and works with every genre of music. The S-Logic technology is supposed to create a faux-Surround sound effect here. But it’s not that noticeable in HFI-580.